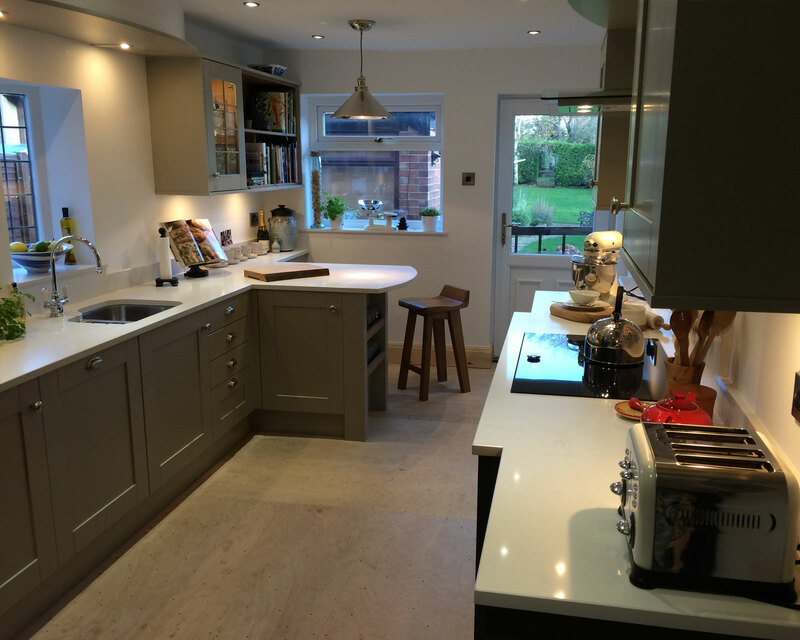 In this kitchen, we were faced with an awkward design that lacked space and comfort. Due to the layout of the original kitchen, our customers were forced to sit in front of the back door, which made it impossible to use unless the table was moved. Resolving this issue was a priority in our design, and this was done through the installation of a peninsula offering casual seating for two. Our clients were very keen cooks and an increased area for food preparation was one of their key requirements. 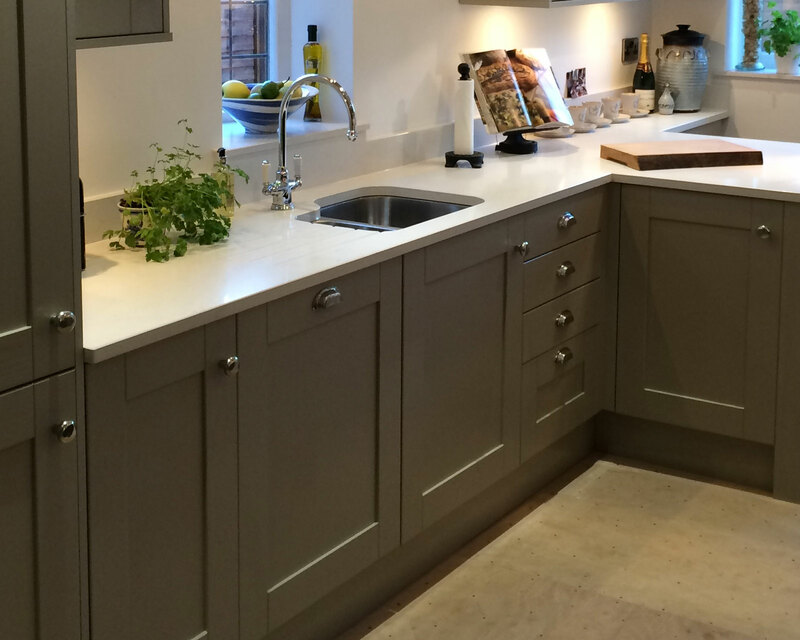 This was achieved through installation of a quartz worktop in a clean tone that blends excellently with the classic yet contemporary feel of the rest of the space. 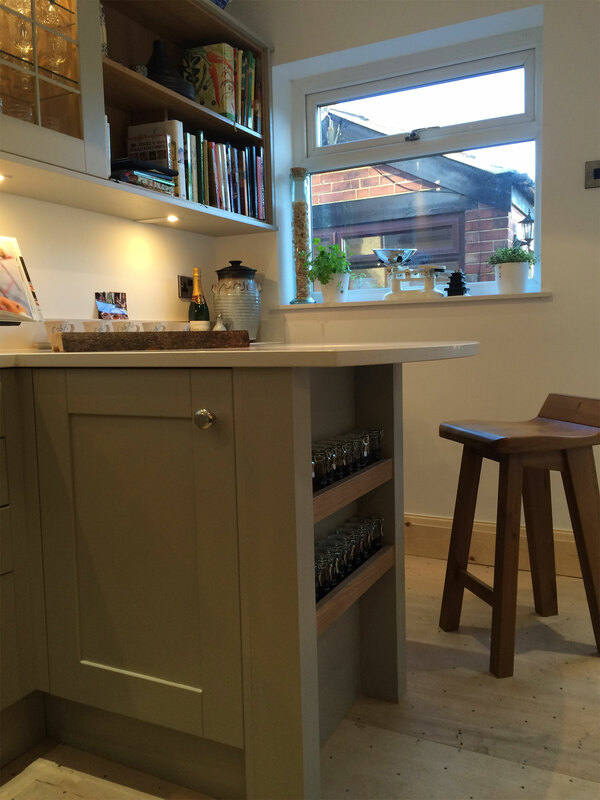 Display units and shelves were also added above the new worktop that house cookery books, and an intelligently placed spice rack sits at the end of the peninsula in an area that would otherwise have been a plain panelled surface. 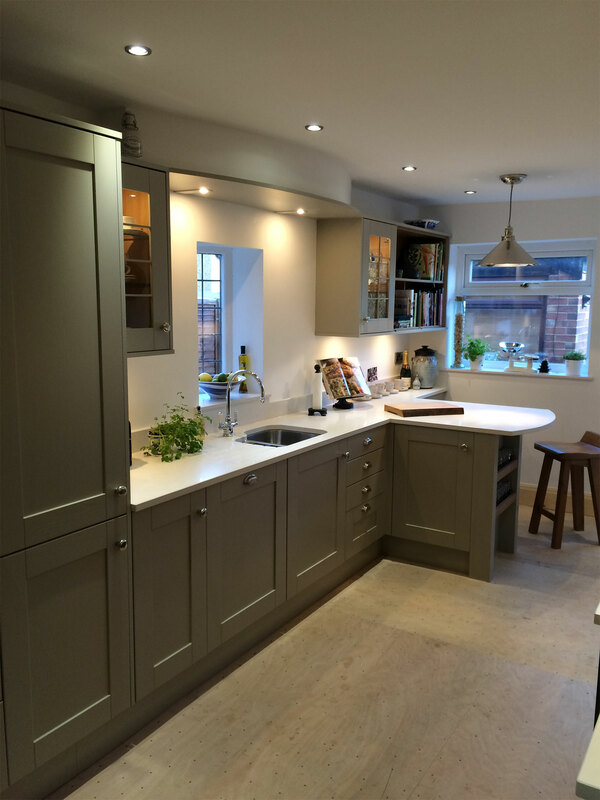 A curved fly-over feature links the two display units, helping the low side window to look more in proportion with the rest of the kitchen. 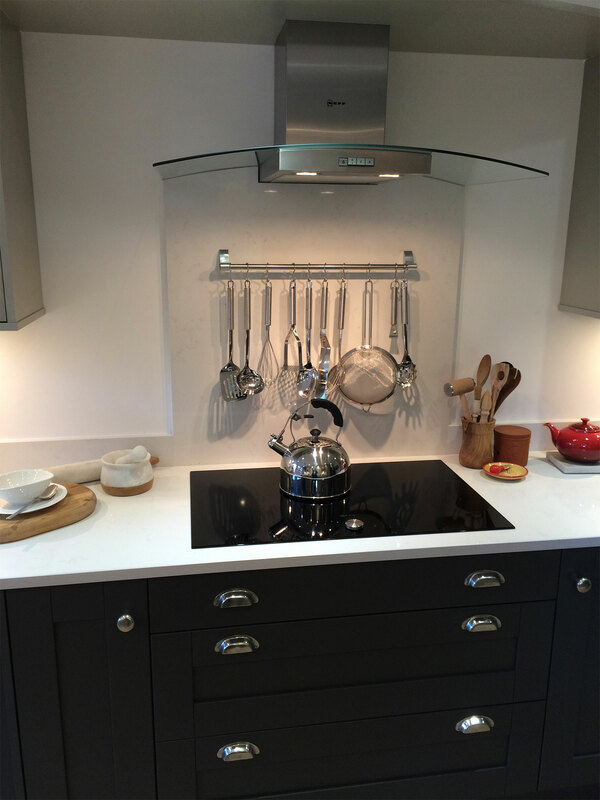 The lighting within this feature illuminates the sink area; ideal for preparing food. 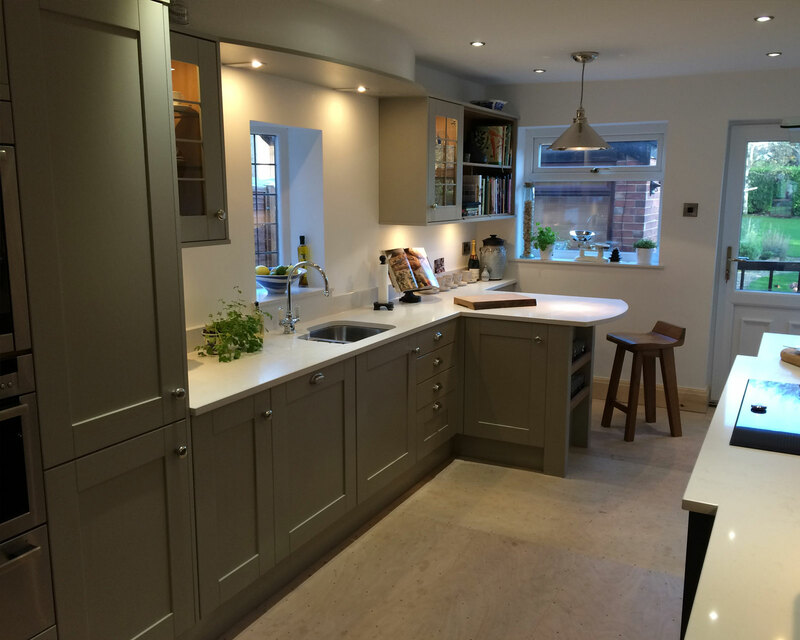 Neff appliances, slide and hide single oven, combination steam oven, frost free fridge freezer, induction hob, peninsula, quartz worktop, curved fly-over feature, spice rack.